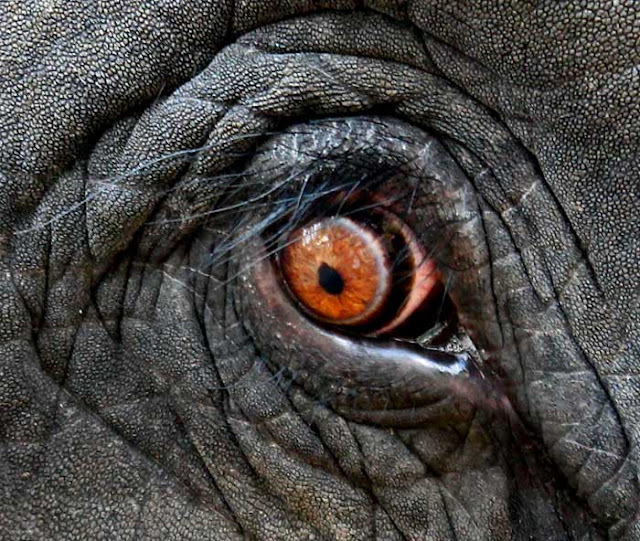 Stock Pictures: Eye of the Elephant! If you ever wondered what an eye of an elephant looked like then you have come to the right place! This is a close-up photo of the yellow/orange eye of a 22- year old gray Indian elephant called Laxmi from Thekkady, Kerala. The folds of the skin around the eyes and the huge body of an elephant almost hide its eyes. Who would have imagined that an elephant has long eye-lashed that touch the skin under the eyes? 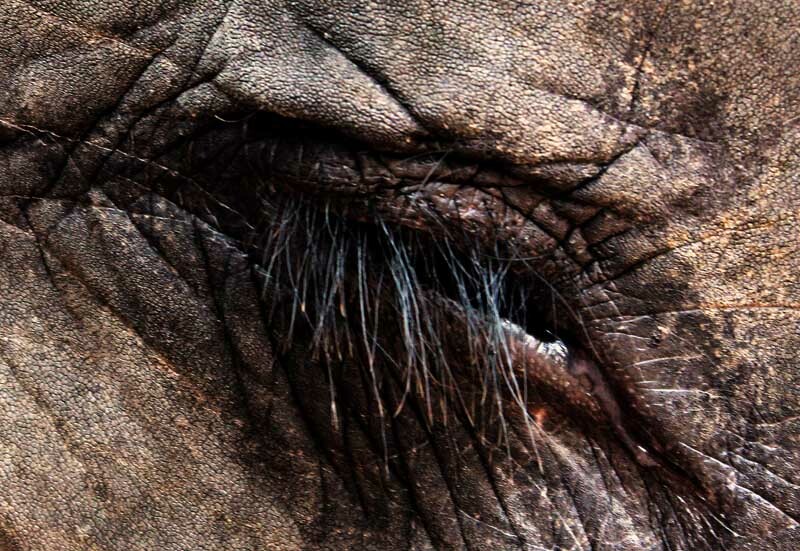 Well here is a picture of an elephant watching you from half closed eye lids. You might also like Black Hippos in the wild or Green Caterpillar images or Wild Zebras in Ruaha National Park Tanzania or more pictures of Wildlife or all filed under the label Animals.